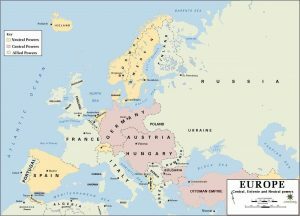 The map of Europe in 1914 shows why the Entente Powers (Britain, France and Russia) needed to open up fronts to the east and south east of the Central Powers. 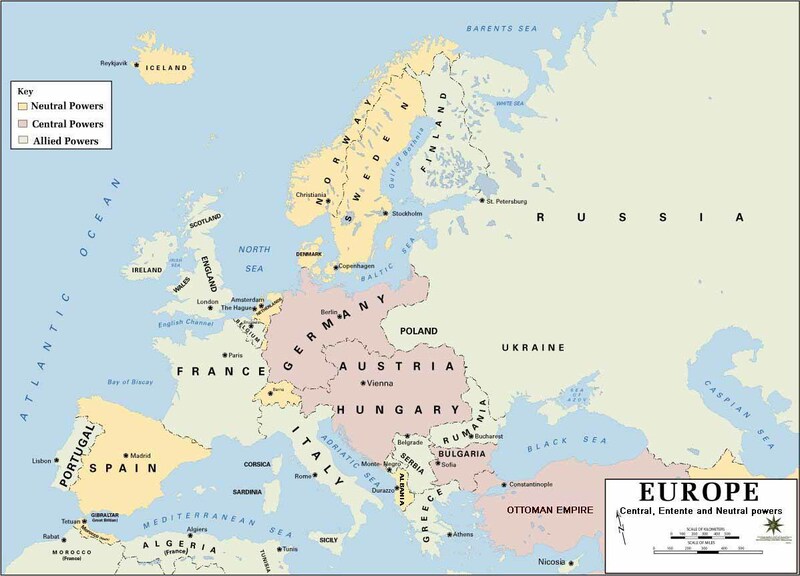 The main Eastern Front stretched along the Russian border with Germany and the Austro-Hungarian Empire, while in the Balkans the Entente Powers attempted to prevent access to the Ottoman Empire while relieving pressure on the Western Front. From a British perspective, the main campaigns were in Gallipoli and Salonika. Gallipoli was an attempt to force the Dardanelles Strait to join forces with Russia (1915-16), and Salonika was a long-running stalemate in South Eastern Europe where a polyglot Allied force fought against a mainly Bulgarian army right through to 1918.